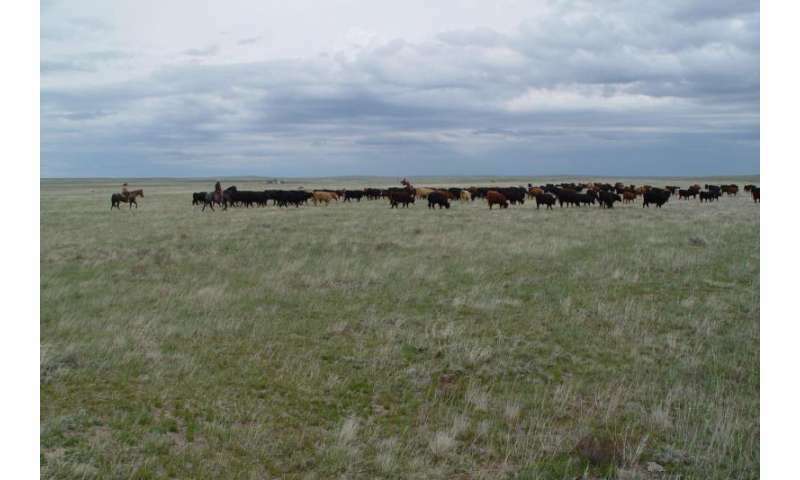 A new study drawn from more than 80 dryland sites across the world indicates that increasing aridity reduces abundance and diversity of microbial communities which carry out for most of ecosystem services such as primary production, water filtration and climate regulation. With drylands covering nearly 41% of the Earth's land surface and home to around 38% of the world's people, these changes pose additional challenges to the sustainability of natural and human populations in dryland regions. Predictions include a growth in the land mass of dryland ecosystems by 10% before the year 2100, indicating that there is considerable need to understand how drying landscapes result in changes to the microbes and their ability to support life in dryland regions. In this study researchers from across the world drew samples from dryland sites in every continent except Antarctica. The study found that increasingly arid regions of the world feature lower diversity and abundance of key soil microbes, as a result of the lower water availability and soil carbon content of these drier soils. "The results of this work help us to understand the environmental factors driving the abundance and diversity of soil bacteria and fungi in terrestrial ecosystems, and provide new clues about how these organisms may respond to ongoing climate change, which will bring increased levels of aridity in drylands worldwide", says Professor Fernando Maestre from Spain, the first author and Principal Investigator of the project. "Previously, global soil and fungi databases have contained little data from dryland ecosystems and there have been no field studies that have simultaneously examined how the abundance, composition and diversity of these organisms vary along aridity gradients", explains Professor Brajesh Singh, senior author on the research team. "Our facilities enabled us to perform high-volume genetic sequencing on samples drawn from the top 7.5cm of soil to identify the presence, diversity and abundance of major soil bacteria and fungi", explains Professor Singh. The reduction in soil microbial diversity is thought to be a direct result of reduced soil carbon and increased daytime temperatures. The results of this study provide a new level of insight and supportive data to the role of climatic change on changes on soil microbial and fungal communities based on ecosystems from across different regions of the world. Because these microbes play a key role in ecosystem services provided by drylands, these findings have significant implication for sustainable development under future climates when the proportion of dryland is projected to increase significantly.